Below you can view all the homes for sale in the Broadway Estates subdivision located in Centennial Colorado. 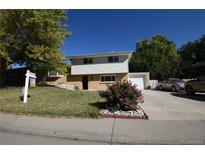 Listings in Broadway Estates are updated daily from data we receive from the Denver multiple listing service. To learn more about any of these homes or to receive custom notifications when a new property is listed for sale in Broadway Estates, give us a call at 720-924-7403. Finished basement with new carpet, spacious recreation room with bar area, 2 non-conforming bedrooms, 3/4 bath, laundry room, and storage. MLS#2351144. Madison & Company Properties. Blocks to High Line Canal, parks, SouthGlenn shopping/dining and more! MLS#6472776. RE/MAX Professionals. Roof and windows are within 10 years. Come see this home! MLS#5791238. Sunrise Realty & Financing LLC. Don't miss out on owning this AMAZING home located in wonderful area! MLS#2309026. eXp Realty, LLC. A Great Value for the Discerning Buyer! ! MLS#3552768. Preferred Properties Inc. This is a must see home! MLS#6551669. MB REAL ESTATE PROS. Great 1031 exchange property , investor property, owner/user property There are 3 separate entrances that will allow 3 tenants MLS#7252252. Kenny Davidson Real Estate Services. There is a circular driveway, lighted sign, 40,000 VPD. MLS#6598719. Kenny Davidson Real Estate Services. Easy commute to Lone Tree, the DTC, Highlands Ranch and Denver. Don’t miss your opportunity. MLS#5864436. RE/MAX Masters Millennium. Nearby to shopping, parks, entertainment and transportation MLS#8700511. Your Castle Real Estate Inc.